The photocopier has been an electronic device which predominantly reproduces multiple copies of the document and the subsequent images instantly which otherwise could have add up to the significant expenditure. Technically, the photocopiers have been able to enlarge the image in order to have an enlarged copy of the image in the form of a print, which could bring about the appropriate colors to the image when it is finally taken as a hand-out. They have been the versatile device which has been best preferred to arrange the number of pages in order to have a binding to make it as a manual book. Though photocopier has been able to meticulously delivering its best of resources, the most limiting factor for any enterprise till has been towards its impending cost to possess the same at their premises. However, in this endeavor, the PhotoCopier Rental Dubai have emerged itself as one of the rental companies who have made this photocopier available to customers at large. In the recent years, these rental companies have been able to cater to the needs of the small and medium scale enterprises (SME’s) for their varied accomplishments. Networked photocopier:Networked photocopiers are specifically designed for multi-functional activities which could possibly include the scanning the images and hence sending it to the user, sending fax messages from the user to the recipient. One of the most prolific components of the networked photocopier is its ability to combat the higher bandwidth in terms of taking up the multiple requests (workloads) from users across. Multifunctional Photocopier:The multifunctional copier has been the copier which could accommodate the features of scanning, imaging, copying, faxing to name a few in one device. 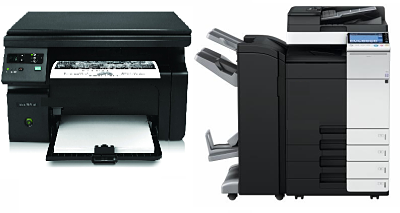 In general, these multifunctional photocopier’s have an inherent capability to work with higher bandwidths. Digital Photocopiers:The digital photocopiers have emerged in the market and have been specifically designed for engineers who require precise print copies of the images that emerge from the CAD designs. These digital photocopiers have had the inherent capacity for them to reproduce high quality, sharp pages, and pictures. In other instances, these digital copiers have been able to predominantly been able to edit the pages and are able to take multiple copies. VRS Technologies have emerged itself as one of the pioneers dealing with photocopiers in the evolving market segment and have been able to cater to numerous customers for their requirement of photocopiers. If you are an entrepreneur who is looking forward for a photocopier on rent, please approach us at VRS Technologies and call us at 00971555182748 so that our technical sales team could get in touch with you for your requirement. Please visit our official website at www.vrscomputers.com for more information.